We’re really excited to announce news of this special show in London in May. It’s the first time we’ve performed with a full orchestra and something we’ve wanted to do since releasing Tiger Bay 25 years ago. 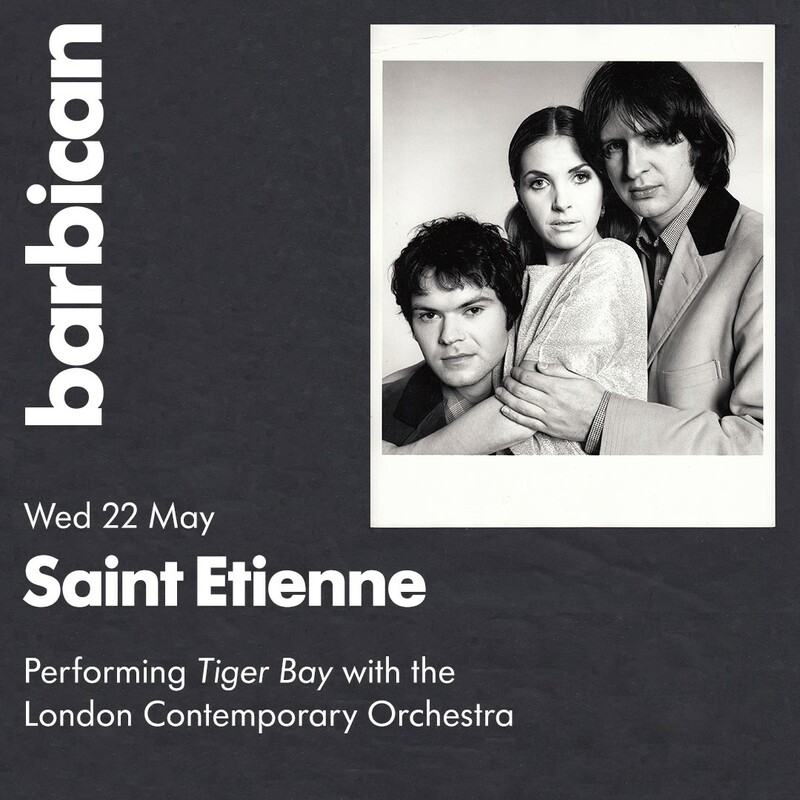 Here’s what the Barbican are saying about it…..
Tickets go on sale to Barbican members from 10am on Thursday 31st January and to non members the following morning, Friday 1st February – click here for tickets. 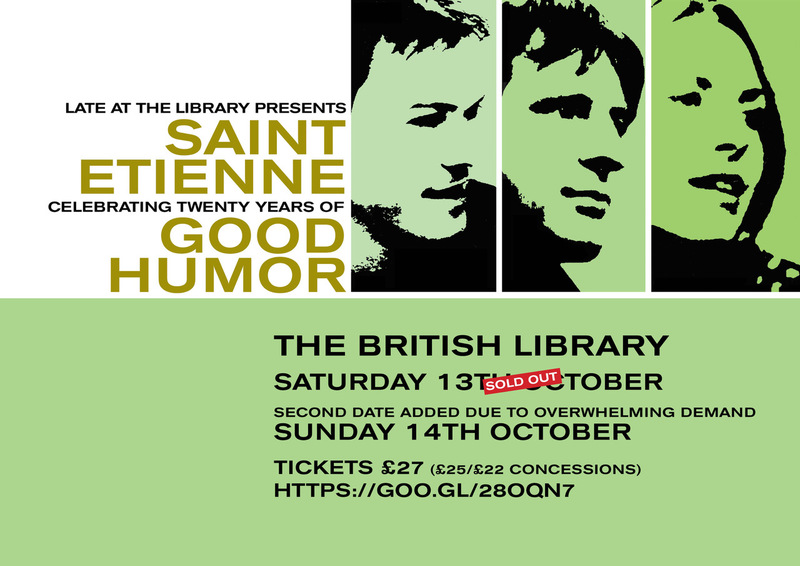 Please be quick as we’re expecting this show to sell out. More news on the Tiger Bay box set soon!! 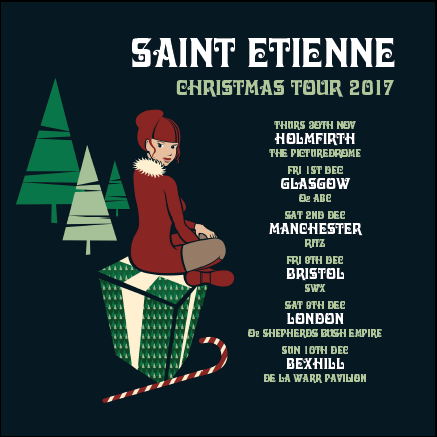 This October Saint Etienne will play their only UK shows for 2018. These take place on Saturday 13th and Sunday 14th October in the grand foyer space at the British Library on the Euston Road, London NW1 – a short walk from Kings Cross station. 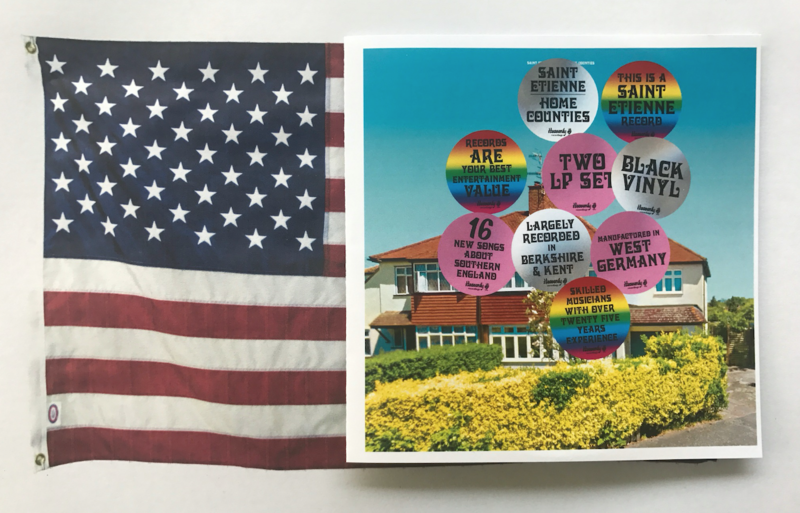 Fresh from their US tour in September the 8 piece live band will perform the 1998 album Good Humor in it’s entirety followed by a set of hits, misses, fan favourites plus a new song or two. Bob, Pete and Sarah will be joined by Lawrence from Go Kart Mozart who will be spinning a selection of his favourite discs before the band take the stage. 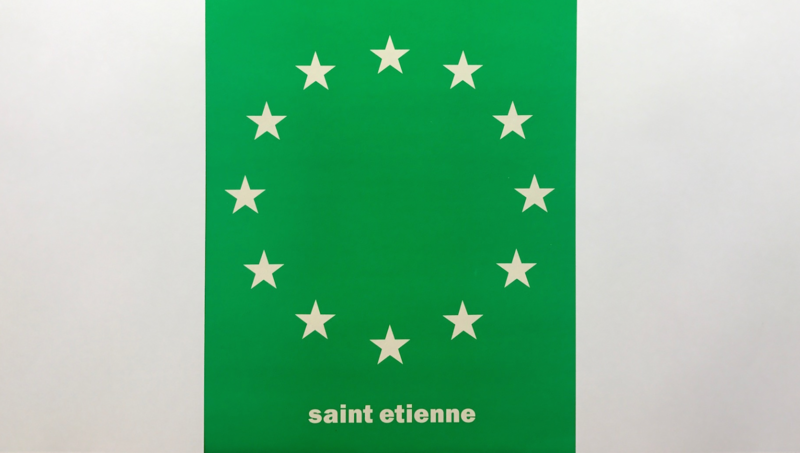 Sunday – a limited number available here. with U.S. and Canadian dates. Pete Wiggs “We had such a great experience recording ‘Good Humor’ at Tambourine Studios, and immersing ourselves in Swedish culture (particularly the food/bars/records/pool/bizarre drinking games aspects of it). It’s an album that imho translates nicely to the live ‘arena’ so it will be very exciting and fun to tour it with our current line up of ‘crack’ musicians”. Tickets are on sale now and these are likely to be the last US/Canadian St Et shows for the foreseeable future…. Note – there will be some super special items of exclusive merchandise available on these dates. 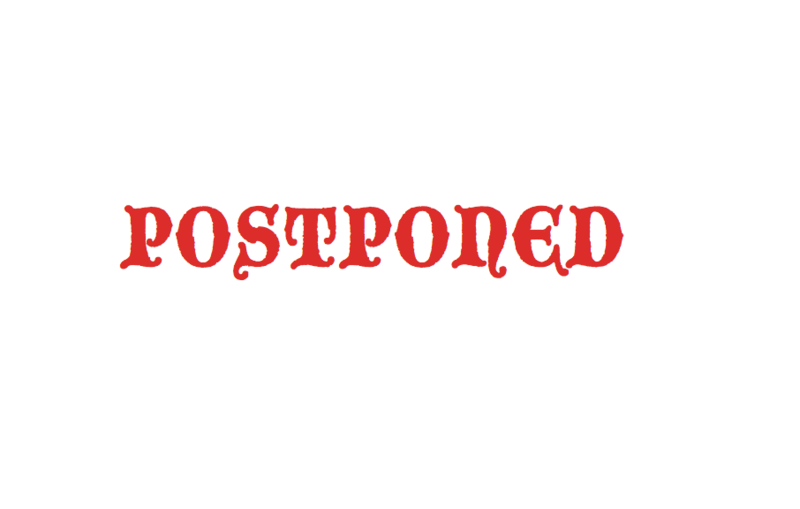 It is with great regret that our show at De La Warr Pavillion in Bexhill-On-Sea has been postponed to 10th December. Those not wishing to attend to the revised date can seek a full refund from the promotor or ticket outlet where tickets were purchased. Those who are OK to wait for the resceduled show in December, pre-existing tickets dated 6th June will still be valid. It’s not possible to go into the reasons for the re-scheduling here. We really wanted to play the show and will be back to do so as part of a short run of shows in December. Thanks to everyone for your understanding. 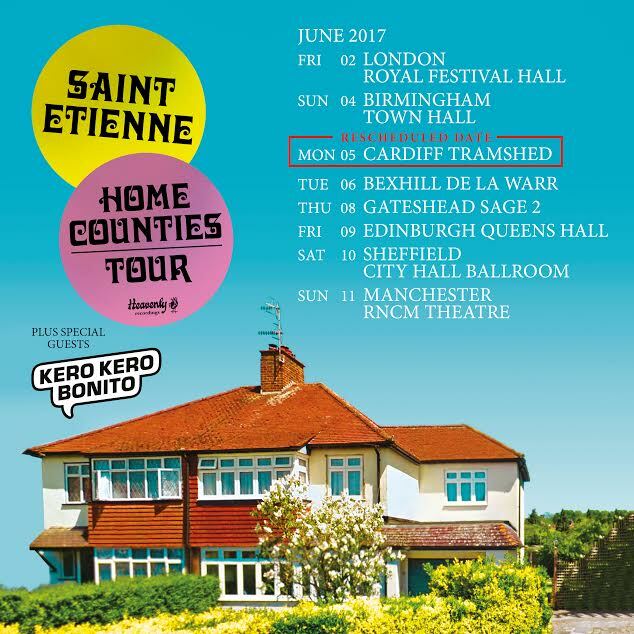 As many of you will know we’ve been forced to switch our Cardiff date pushing it back by two days to Monday 5th June. 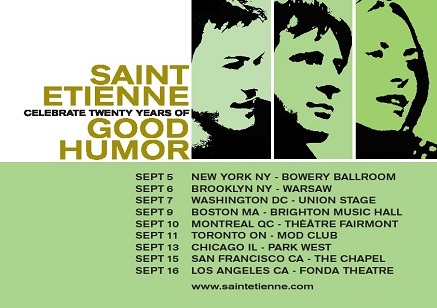 We’re pleased to bring you details of our US tour happening in late September, early October. These will be the first shows we’ve played in America for 5 years. We apologise that we can’t get round the country a bit more – especially Canada and some of the Southern States – and hope that some of you can make the trip out to see us. We’ll be playing brand new material from Home Counties plus a good selection of songs you’ll know from our back catalogue. Yes, we’ll be bringing merchandise and we look forward to seeing you in the fall. All tickets go on sale at 10.00am on Friday 31st March except the Bowery Ballroom and Hall Of Williamsburg gigs which are on sale from 12 noon on Wednesday 29th March.